If you are the do-it-yourself type, you can get Christmas tree cutting permits from either the U.S. Forest Service (USFS) or Bureau of Land Management (BLM) to go get a tree on nearby public land, or on not so nearby public land. Most national forests allow Christmas tree harvesting, but you must have a permit. Check the BLM website Christmas Tree Permits page for links for the Lake Tahoe Basin Unit and surrounding National Forest units. For other areas, search for your local BLM or National Forest Service site and their Christmas Tree permit information. Check the website of the U.S. Forest Service Lake Tahoe Basin Management Unit (LTBMU) to see the beginning date for selling Christmas tree cutting permits. In recent years, the date was in the first week of November, so check early in the month.. 2,500 permits will be available at two Lake Tahoe locations on a first-come, first-served basis. If still available (they sell out quickly, all were gone at one location by the first week of December), the last day to purchase permits is December 19, and the last day to cut a tree is December 25. Included with permits are maps to designated cutting areas and other information about choosing a tree. You'll be able to choose from tree species including pine, cedar, and fir. Trees chosen for cutting should have a trunk diameter of 6 inches or less. There may be some seasonal road closures and off-road driving is not permitted, so you may have to do some walking to reach certain cutting areas. Stay on National Forest System roads and do not trespass on private property. North Shore Lake Tahoe Incline Village Forest Service office: 855 Alder Avenue, Incline Village, NV. Hours are 8 a.m. to 4:30 p.m., Wednesday through Friday. (775) 831-0914 (during winter driving conditions, call ahead to make sure the office is open). South Shore Lake Tahoe LTBMU Forest Supervisor's office: 35 College Drive, South Lake Tahoe, CA. Hours are 8 a.m. to 4:30 p.m., Monday through Friday. (530) 543-2600. 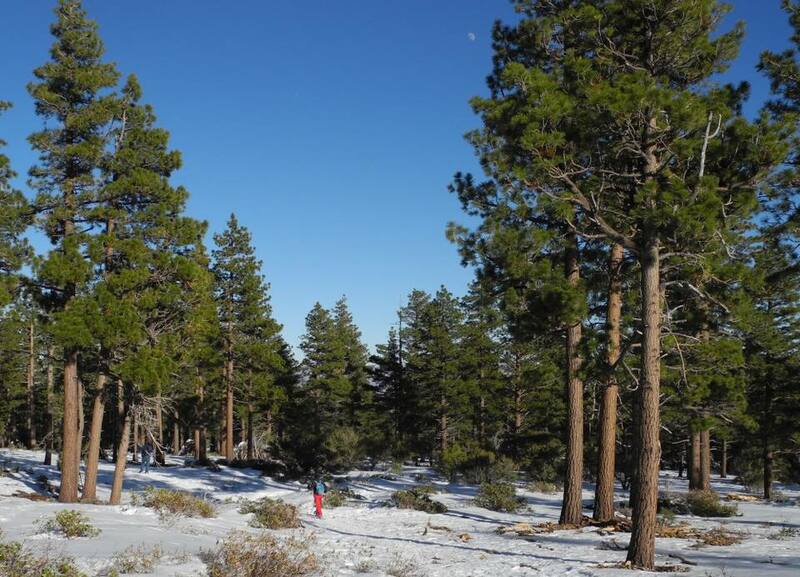 The U.S. Forest Service (USFS) sells Christmas tree cutting permits for the Humboldt-Toiyabe National Forest. Check their website on the News and Events page to see when and where they go on sale, usually in the last full week of November through December 25, or until the available permits are sold out. Permits must be purchased in person with cash, check, or credit / ATM cards. Permits are good for cutting white fir, Jeffrey pine, lodgepole pine, and incense cedar in designated areas, including portions of Dog Valley, Mt. Rose, Markleeville, Woodfords, Hope Valley, and Wolf Creek. USFS Christmas tree permits are usually offered at these locations, but check for current information and whether they are sold out. Hope Valley Café and Market 14655 Highway 88, Woodfords Canyon, CA. Permits from the Nevada BLM Carson City District are available usually in mid-November. Permits are non-refundable and there is no limit on how many you can buy. Areas open to tree cutting include the Pinenut Mountains between Carson City and Yerington, the Clan Alpine and Desatoya Mountains east of Fallon, and the Excelsior Mountains southeast of Hawthorne. When you purchase a permit, maps and directions are available. The BLM offices in Reno and Carson City accept credit card cards, cash, and checks. Other locations only accept cash or checks made payable to the BLM. You can get permits in person at several BLM locations. These are ones that generally offer them. Check for current information. Wherever you go Christmas tree cutting, bring your own saws and other equipment. In case you encounter bad roads and stormy weather, be sure to bring warm clothing, a first-aid kit, extra food and water, heavy rope or chain, a shovel, and tire chains. If you get stuck, it may be a while before someone finds you and cell phones may not work in remote areas. Be sure to check the weather forecast and highway conditions to make sure roads to your intended location are open.